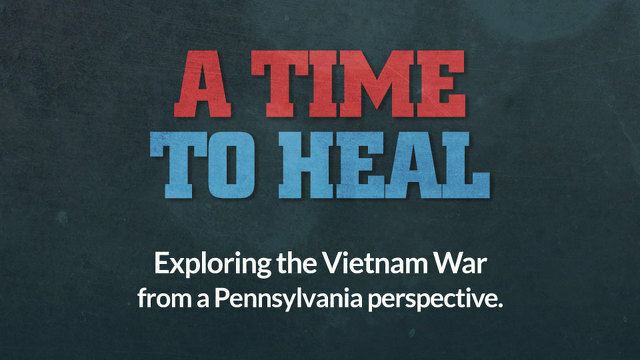 The State Theatre will host tonight at 6:30 p.m. a free advance screening of the WPSU original documentary "A Time to Heal," which explores the impact of the Vietnam War on those who fought and their families as well as protestors. The screening will also include preview segments of the PBS series "The Vietnam War," as well as an audience discussion with panelists Howard Davidson and Russ Schleiden. For the 60-minute documentary, producer Lindsey Whissel Fenton "traveled across Pennsylvania, talking with men and women about their experiences in this divisive war and their perspectives now, seeking an answer to the question: Is it finally a time to heal?" according to WPSU. The film and panel discussion will look at what was happening in Pennsylvania and on the front and what it was like to live in a college town during the Vietnam War. They also will explore the divisions the war created between those who served and anti-war activists. On the discussion panel, Davidson is a 1969 Penn State graduate and was a member of Students for a Democratic Society, an activist organization involved in demonstrations against the war. He retired after more than 35 years as the planning director for the Municipality of Penn Hills. Schleiden is a veteran of the U.S. Air Force who flew B-52 missions as a pilot in in 1968 and 1969. A 1963 alumnus of Penn State, where he played on the football team, Schleiden is CEO of Penn's Cave in Centre Hall. The panel will be moderated by Fenton and fellow producer Frank Christopher. Doors will open at 5:45 p.m. and the program will conclude at about 9 p.m. Online registration here is not required, but appreciated. Thousands of miles from State College, DaeSean Hamilton sat down in front of reporters with headphones wrapped around his neck and a smile across his face. 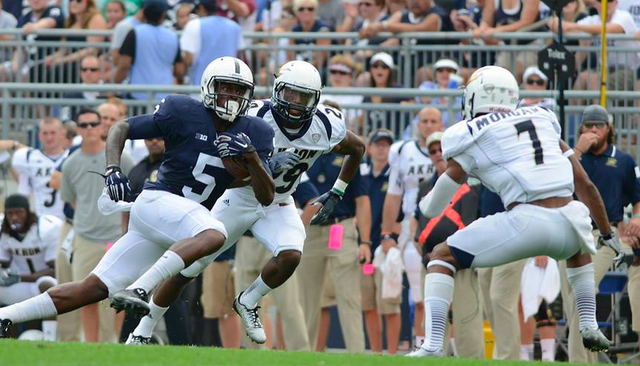 Penn State had just won the first game of the James Franklin era thanks in no small part to Hamilton's standout 11 catch, 165 yard debut. It may have been in Ireland, but the win counted all the same.